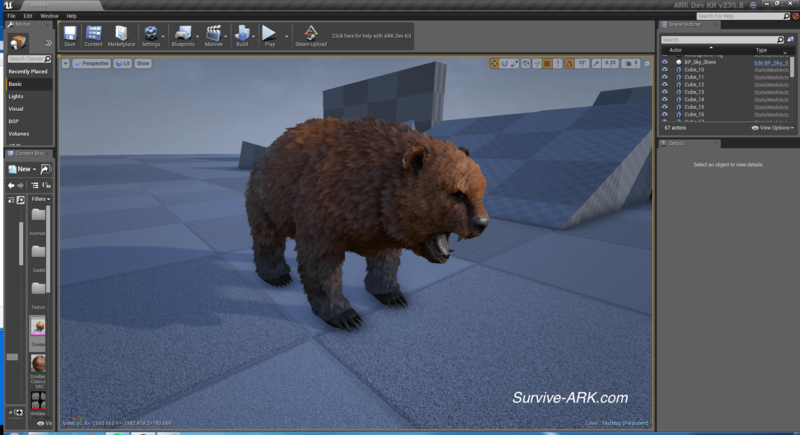 Devkit preview: Colored Direbear, Eel and more! 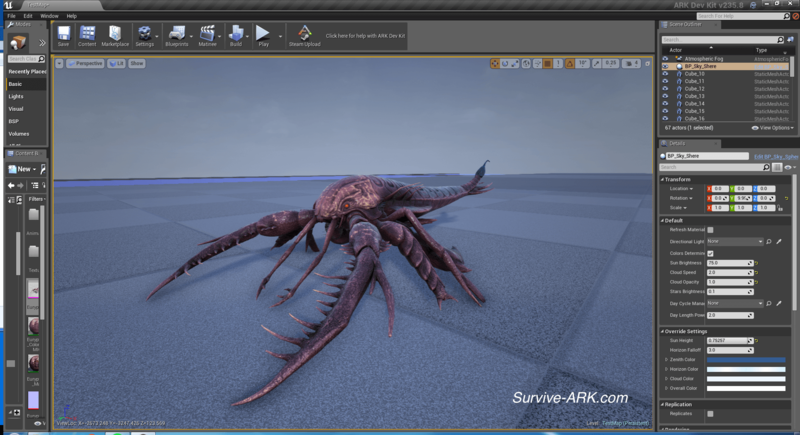 Not only has the latest devkit surprised us with a lot of new creature models, it also comes with new textures. A while back we covered the Direbear, Eel and Eurypterid, and these are now back and fully colorized (and even fur for the Direbear). 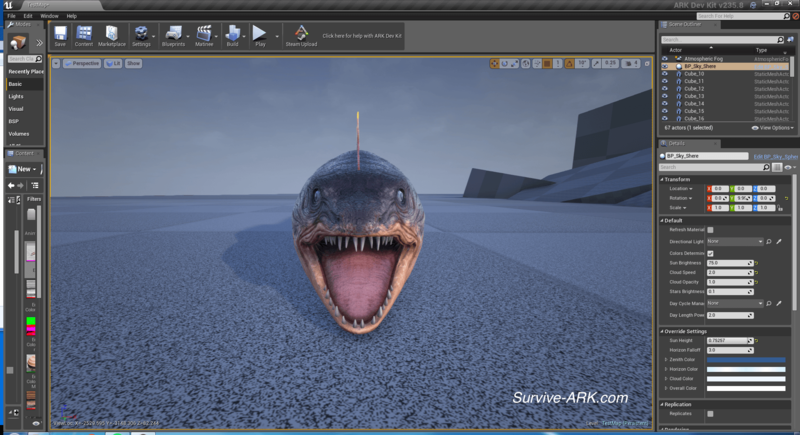 Hopefully this means we will see them in one of the upcoming patches, as they are nearly finished at this point. 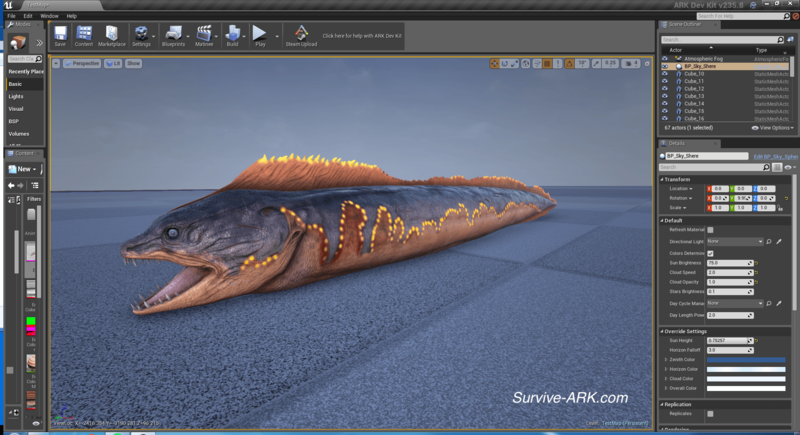 The Eel was already covered in a previous devkit preview, but this time it comes with a color! We really like the yellow dots on the side. Will be scary to see those spots in the distance when diving deep in the ocean. 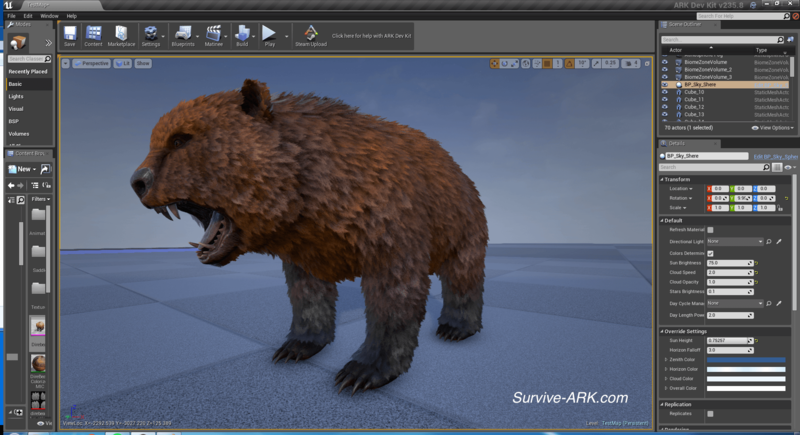 In a previous devkit preview, we already showed you the model of the Direbear. This time it has been colored and even includes fur! 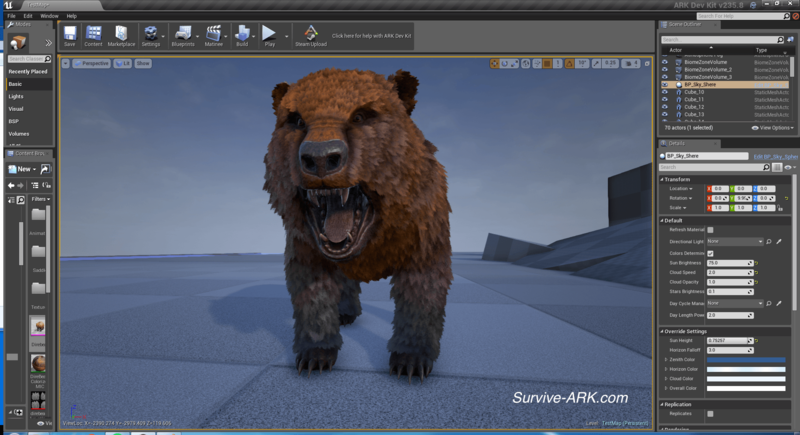 It looks a bit like an angry beaver, or angry teddybear, so we’re curious to see how this works out when they are released on the island. 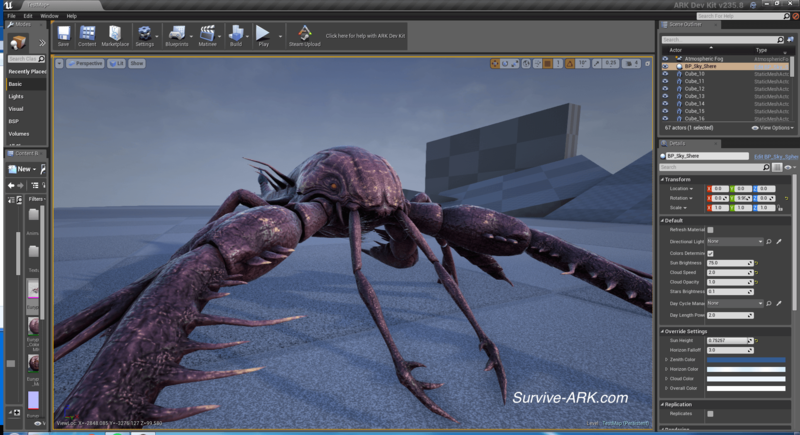 The Eurypterid has also been granted a color, which makes it look like a massive shrimp in our opinion. What do you guys think? 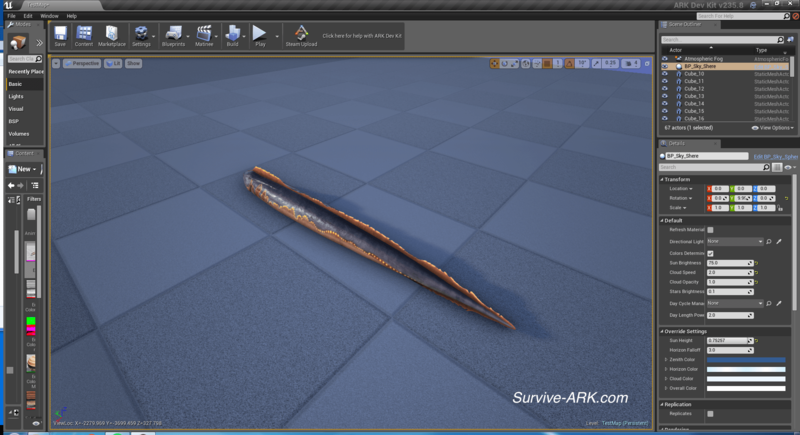 Previous Post: Devkit preview: Titanosaur, Archaeopteryx, Woolly Rhino and more! I hope they work on the direbear a bit more. It’s close to the dossier picture, but looks a bit more on the cuddly size and less fierce.